That’s exactly what you get with Glam Pro. A web theme that is nothing less than glamorous in every way and stands out from the rest of the themes out there. A theme that makes you go wow, that keeps your attention and makes you want to stay. 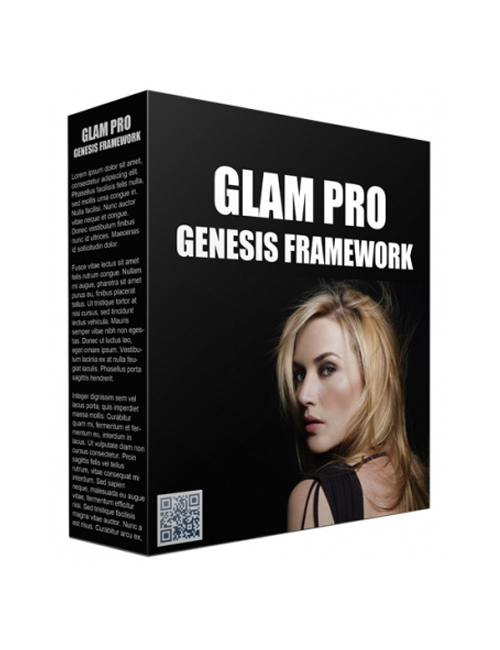 Glam Pro is ready for you to take your classy and attractive business to a new level. Whether it’s digital products or services, this theme is compatible with WooCommerce which makes it super duper easy for you to get to selling to your customers with a breeze. You get full functionality, numerous widgets and sections that can easily be customized including menus, images, content sections and more. Glam Pro is all about getting the spotlight shining on awesomeness and with class and elegance. Lovely typography that is perfectly fitting and the usual amazing Genesis Framework features complete one of the most attractive themes to date. If you’re going to be successful in your business, it will happen with Glam Pro. Grab it now.